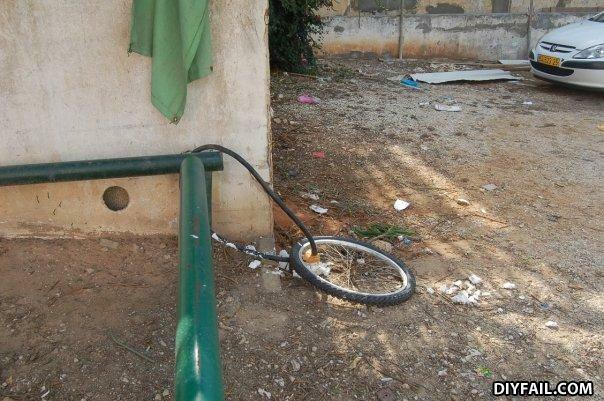 Will be a tricky ride for the thief....wheely tricky. Now where did I leave that key again? #*%@ THE TIRE I GOTZ ME A BIKE!!! Do you want to French kiss?